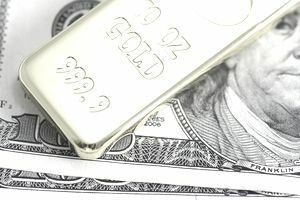 Is now a good time to buy gold? It has been down since the price of gold hit its peak of $1,895 in 2011. Buying gold is not for the faint of heart. First, most investors enter the market rather late, after prices hit historically high levels. The main reason why people buy gold is as a safe haven during an economic crisis. Gold is the best hedge against a potential stock market crash, according to research done by Trinity College. It found that gold prices increased dramatically for 15 days after a crash. Frightened investors panicked, sold their stocks and bought gold. After the 15 days, gold prices lost value against rebounding stock prices. Gold has been used as a form of currency since 643 BC. That gives people an emotional feeling that it will hold it's value better than paper currency. But gold hasn't been used as money since President Nixon took the world off the gold standard in 1973. Second, the physical supply of gold is relatively inelastic in the short term with regard to price. It means the supply will not increase even if the price does. That's because gold must be mined, and it takes a long time to find new mines and get the gold out of the ground. Limited supply makes the gold market both thin and volatile when demand grows sharply. That means there are few traders, and they have a lot of influence in the market. They have the ability to drive prices up quickly once it looks like there is an upward trend. At a certain point, gold can quickly become a bubble. When the bubble bursts, you can lose a bundle. Gold, more than any other investment, has the traits to become an asset bubble. Why? According to commodities guru George Soros, it's very difficult to determine its real intrinsic value. Stocks have underlying earnings, and real estate has rental equivalents. The only underlying value of gold is its cost to mine. Even that is difficult to determine since miners say it's anywhere between $500 to $800 an ounce. The gold market is most appropriate for arbitrageurs who can take advantage of short-term price changes regardless of the level of the price of the metal. These are professional investors who have enough money to ride out any dramatic ups or downs. It should be a warning for the average investor, who will be at the mercy of the arbitrage. That's why gold prices rose so fast in 2011. When many investors believe gold is a safe haven, and the global economy is uncertain, gold's rise becomes a self-fulfilling prophecy. Like any other bubble, however, it's nearly impossible to guess how far it will rise, or for how long. Bubbles usually last longer than you think they will, and they end quicker than you can imagine. Most financial planners will tell you that the best hedge during turbulent times is not gold or any other single asset. Instead, you should have a diversified portfolio that meets your goals. Your asset allocation should support those goals. But even a safely-structured portfolio should have no more than 10 percent of its assets in gold. If you want to sleep well at night, putting a substantial portion of your portfolio into gold is not the way to do it. Most financial planners advise putting a small percentage of your investments into gold and other commodities to achieve diversification.